Thanks for sharing this. My background is in software QA, and it has been a couple of years since I was involved with a scrum team, so I guess I should feel pretty good about scoring 23/30? One critique – the multiple choice question section does not call out if there can be 0, 1 or more correct answers. 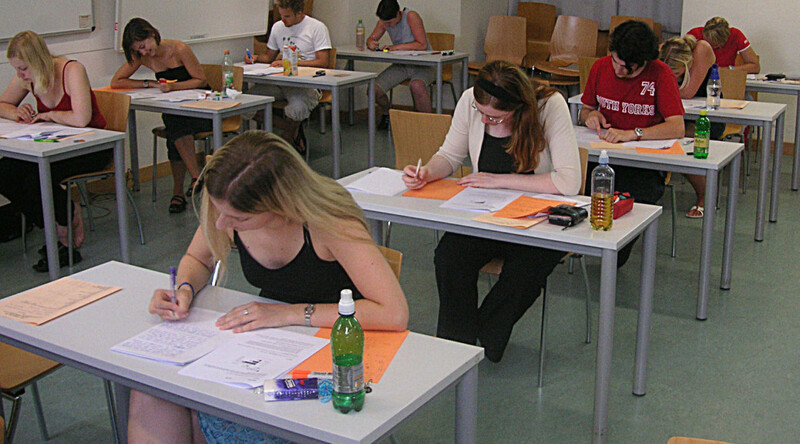 Replying to the comment by John F. The definition of multiple choice is one that is accompanied by several possible answers, from which the candidate must try to choose the correct ONE. If none or multiple answers can be correct, the questions must be specified as such. Looking forward to meet you and attend Scrum Master Certification training on June 25 & 26th at Global knowledge. I’d like to dispute question #25 based on Sutherland’s book “Scrum: The Art of Doing Twice the Work In Half The Time”. On my Kindle, 63% of the way through the book, paragraph #2 explains what his intentions were during the creation of the Scrum roles. Sutherland clearly states: “So I split the role in two, giving the Scrum Master the how and the Product Owner the what.”. Excellent point. And I certainly can’t dispute with one of the founders of Scrum. However, that explanation is only part of the explanation for the role. In “Agile Software Development” by Schwaber and Beedle on page 2 they write, “Scrum is a kind of social engineering aiming to achieve the fulfillment of all involved by fostering cooperation.” In the same book, Jeff Sutherland is given several paragraphs to describe what occurred at Easel, one of the earliest uses of Scrum and he says “The impact of entering the ‘zone’ was not just hyper productivity. The personal lives of the people were changed. People said they would never forget working on such a project and they would always be looking for another experience like it. It induced open, team-oriented, fun-loving behavior in unexpected persons and eliminated those who were not productive from the team through peer embarrassment.” Later in the book, on page 31, they write “The Scrum Master is responsible for the success of Scrum”. Given that Scrum aims to fulfill all involved, including the team, and the impact is not just hyper productivity but also the personal lives of team members, then the Scrum Master is responsible for these outcomes. I’d like to dispute #3 and #4 . #3: If this is raised as an impediment, then it should be solved asap. But maybe I “tripped” over “a person” part – should it be “a person with the matching skills”? I understand what Mishkin is saying. Bugs come in when a product is shipped, but whenever they’re experienced and are not conducive to Scrum’s time-boxes. They’re more like “technical debt” than tasks in User Stories, and they don’t easily show ROI to the business as what Scrum is supposed to do. 18. Scrum Study Guide says clearly that retrospective is about inspection and adaptation. 27. Should be A and B. Product Onwer does actively participate since he has to clarify PBIs and work with the Development Team to break down PBIs into User Stories or smaller PBIs. Scored 20/30. Useful tests. Thanks! I do not understand what is so difficult about this example test? #26 has no explicit answer. Seems like the answer is none of the above, but it would be nice if stated so.